The next patch coming to the Overwatch Private Test Realm will include nerfs to Roadhog, and maybe some buffs for Sombra. Changes to multiplayer-focused games are pretty much par for the course. There's always a tweak to be made here, or an adjustment needed there. Developers make these changes in an attempt to keep games balanced, fair, and fun. As you'd expect, Blizzard's Overwatch is no different. 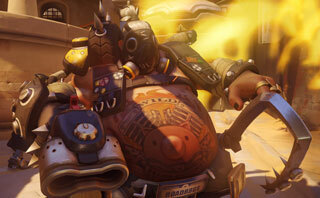 In this post on the Overwatch forums, principal designer Geoff Goodman talked about plans for the next patch planned to hit the Public Test Realm, specifically those related to how Roadhog's hook functions. First up, Blizzard plans to make anyone hooked always move to a position in front of Roadhog, so he can no longer hook you and then spin around to force you off a cliff. Next, the hook will also perform a line-of-sight check, so if Roadhog can't see you, he can't hook you, even if the hook hits you. Finally, once the hook hits you, there's another line-of-sight check. If it fails, the hook returns to Roadhog without pulling you in. That change means if you get hooked and move out of line-of-sight quickly, you can make the hook break early and you aren't pulled in. I'm sure there will be complaints about the changes, because they will certainly make Roadhog a bit weaker. That being said, I do think that always appearing in front of him will lead to a much lower chance of hooked players escaping from that deadly blast of scrap. We'll just have to wait and see how it plays out on the PTR.